The benefits of yoga for children (and adults) extend well beyond the physical. Yoga calms body and mind, promotes body awareness and coordination, and creates an internal sense of balance. It can also help with concentration, reduce stress, and generate an over-all sense of well being. 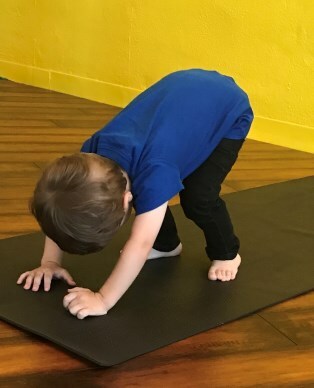 Our Sing and Stretch Yoga class is a developmentally appropriate, music-infused yoga class for children walking - five years old with parent or careggiver. Sing and Stretch yoga fosters a nurturing and fun environment that encourages personal reflection and compassion rather than competition. The class is a combination of breath exercises, singing and large movement, yoga poses, yoga games and relaxation/visualization.